Mr Lewis graduated from St Mary’s Hospital Medical School London in 1994 having previously attained an honours degree at Bristol Polytechnic. He completed his basic surgical training at King’s College Hospital. He then started his orthopaedic training at the Academic unit of the Royal National Orthopaedic Hospital at Stanmore. He entered the specialist registrar training programme and completed this in 2006. During this time he had 12 months of Specialist training in pelvic and acetabular reconstruction surgery at St Georges Hospital. He was appointed as a full time substantive Consultant with a Special Interest in Pelvic and Acetabular Reconstruction at Charing Cross Hospital in 2006. He now has an established regional tertiary referral practice receiving pelvic referrals and patients requiring complex revision hip reconstruction from all over North West London. On average this service receives in excess of 70 referrals per year since he started at Charing Cross Hospital. His elective interest is in hip arthroplasty reconstruction both primary and revision. Charing Cross Hospital has recently become a division of Imperial College Healthcare NHS Trust with the unique status as the UK’s first Academic Health Science Centre. This has provided him with the opportunity to be involved with academic orthopaedic research. He is involved with some pioneering work on computer assisted navigation of reduction and stabilisation of pelvic and acetabular fractures and detailed mapping of the pelvis. This will dramatically improve the understanding of a bone which he believes possesses some of the most complex biomechanical properties of any bone in the body. 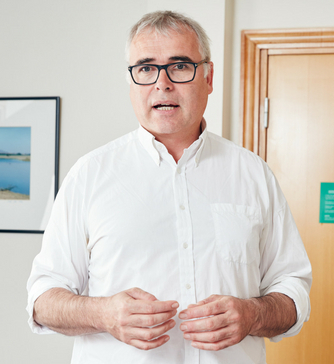 He is a founding member of Precision Surgery which has a collective ambition to provide high quality, accurate lower limb orthopaedic reconstruction.